Gals In Blue: Adventure is Out There! 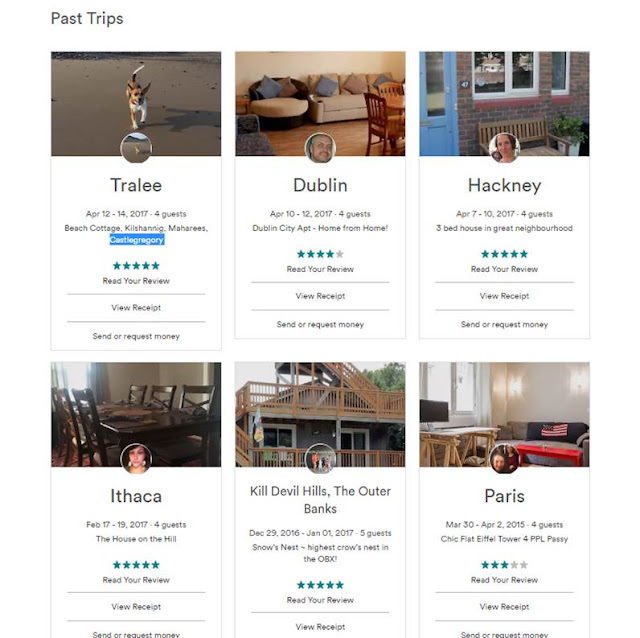 The first time we used AirBnB we got a little burned - we were looking for a place in Paris and kept getting "not available" messages. Then the place we got - which was perfect in every other way - is now forever known as "the place where I had to sleep on the floor" (my son's refrain). The write up said 1 bed and 1 pull out couch that slept 2, but really it only slept 1, and barely 1 at that. A couple years went by, and then I decided that we NEEDED to get away over New Years last January, and a place listed on AirBnB popped up in my google search. I wanted a place that had separate bedrooms for us all, allowed dogs, and was near the beach. The place we found on AirBnB hit all the marks. Next we took a trip up to New York over President's Day weekend to see some colleges for my daughter. I was lucking out on hotels, but found a quirky house that had room for us all and a kitchen. So then we decided to forgo the responsible thing to do (use spring break to visit more schools) and went to London and Ireland instead. 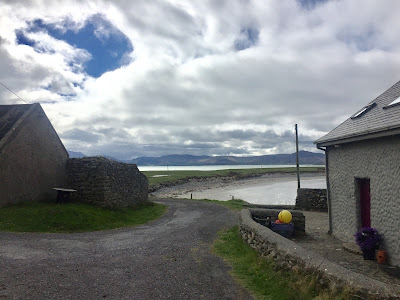 By now I was getting good at carefully reading the details of available places, and we liked all three we stayed at in London (Hackney), Dublin and County Kerry (Tralee). What was great is that we gained valuable local knowledge from each of our hosts. By far my favorite place was in County Kerry - the view from the driveway is the picture at the top of this post. It was a very old cottage that had been modernized, but still had low ceilings and funky angles, really awesome! PS - this is an unsponsored, unsolicited review.